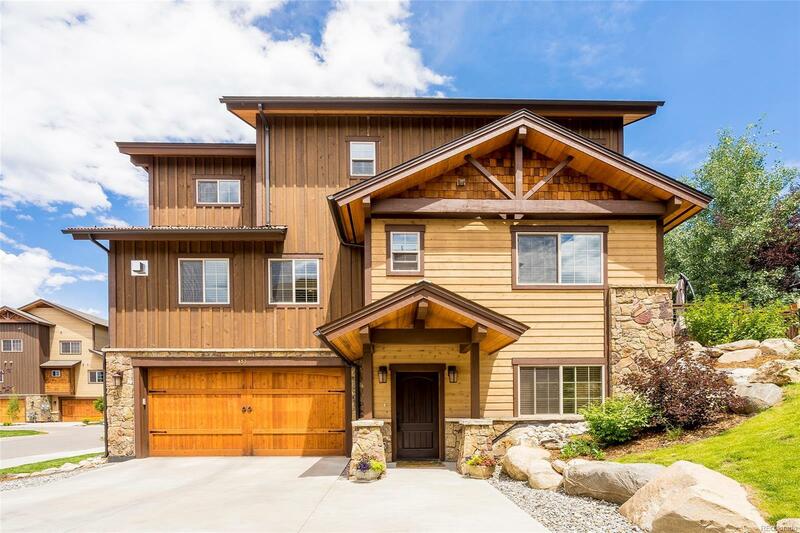 In like-new condition, this impeccably crafted welcoming Rocky Peak Village townhome comes with upgrades around every corner. The 3 bedroom, 3.5 bath home includes high-end granite counters, hickory flooring, travertine tile, upgraded light fixtures, and custom wood blinds throughout. The centrally located living room with rock fireplace presents an inviting space to gather. The high-quality kitchen includes a 5-burner stove and an abundance of knotty alder cabinets for space. The upper master suite is a haven with an attached bath and large shower. An additional guest suite is also located on the upper level with a private bathroom. Perfect for guests, the lower level has the third bedroom with a full bathroom and walk-in closet. Living like a single-family home but without the upkeep, it will be easy to relax on the back patio and enjoy your new mountain residence.